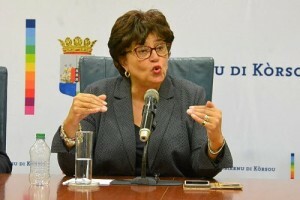 WILLEMSTAD - The Government of Curaçao believes that SONA is too easy to agree to pay the 13 million dollars to Ballast Nedam, the construction company that is building the new hospital in Otrabanda. There is currently a conflict between the government and the Netherlands Antilles Development Foundation (SONA). SONA was appointed by the government to implement the construction project of the new hospital. The Minister of Health, Nature and Environment Suzanne Camelia-Römer considers that SONA is clearly not working in the interest of the country. The Minister believes that SONA wanted to pay an unnecessarily high amount to Ballast Nedam. Last week, the Minister threatened with actions against SONA if they did not present the financial report on the construction of the hospital.